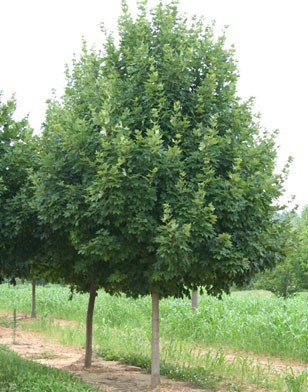 A vigorous tree with a heavier crown and more dense foliage than most sugar maples. One of the most heat resistant cultivars on the market today. Beautiful, thick, dark green leaves resist tatter. Leaves are deeply lobed with pointed tips. Striking yellow-orange fall color. IMPROVED NATIVE.